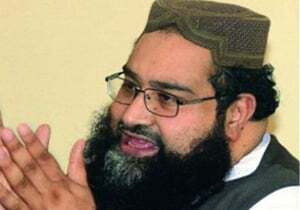 Tahir Ashrafi, the head of the Pakistan Ulema Council. Image from TOLOnews. The tortuous path of the Afghan government’s plan for a regional ulema conference that would issue a fatwa condemning suicide attacks reached a new impasse yesterday when the head of Pakistan’s ulema council stated that suicide attacks are permissible. The proposed conference, originally put forward by Afghanistan’s High Peace Council, was agreed to by Pakistan in November, and then hit a series of snags as it was condemned by the Taliban in late December and early January. The conference, which had been scheduled for January, was postponed; its agenda grew murky, the venue changed from Kabul to various other locations, and its fate became uncertain. It has been termed variously a “peace conference” and a conference on the issue of suicide bombings.